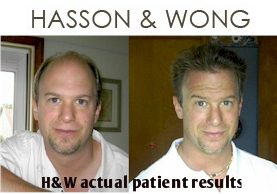 Hasson & Wong is HairSite’s TOP RANKED FUHT Strip exclusive hair restoration clinic. Dr. Hasson and their representatives will be available to meet in a city near you for a free no obligation consultation. This is a great opportunity to find out whether you are a good candidate for the procedure, details about the actual process and what to expect. H&W is one of the few clinics in the world who can produce dramatic results even for individuals with extensive hair loss. Please register in advance to reserve your slot. First come first serve. To register for the London event, email ukconsultant@hassonandwong.com or call 0757 8164162.